Along with their hosting services, HostGator also allows customers to register and use domain names. If you’re buying a new hosting package, you can a new domain name during this process. During the order, you can register your domain and include it in your order. You can register any of biz, club, co, com, host, info, me, net, online, org, site, space, store, tech, us and website domains through HostGator. If you want to register a domain suffix not in the list above, you can open up a live chat support session and HostGator can register this for you on their backend. Once the domain is registered or transferred, you can edit its settings in the HostGator cPanel. This could be for updating your contact information, updating the name servers, adding domain privacy or locking your domain. One logged in, click on the “Domains” tab. You can now choose any domain that you own and it will display further details and allow you to update them. HostGator Uptime Guarantee: What Does It Mean? 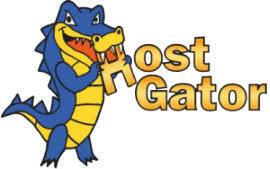 HostGator proudly advertises on its website that it provides a 99.9% uptime guarantee. We contacted HostGator and what the uptime guarantee means is that if your shared or reseller server experiences downtime that takes your uptime below the 99.9% threshold for the billing period, you are eligible to receive the entire month for free. This will be issued in the form of a one month credit that is directly posted to your account. Is This Credit Automatically Applied? This is a key point to take note of. HostGator will not automatically apply this credit. Get in touch with HostGator customer service. The best way is to create a support ticket directed to the Billing department whenever you experience an usual amount of downtime that puts you below this mark. We don’t recommend calling their toll-free number or using live chat since they too will need to create a ticket to verify the downtime. Mention the poor uptime as the reason for your email and politely request the credit. This must be done within 30 days of the billing period for which you are claiming the guarantee. HostGator’s Unlimited Space: How Much Can You Really Use? Along with its outstanding customer support, HostGator enticies users with its promise of unlimited space for your hosting. But how much can you really use? Whenever you see a company offer unlimited space, there’s a good reason to be skeptical. After all, just like there’s no such thing as a free lunch, there’s no such thing as unlimited space on a server. It costs hosting providers money to store these files and their backups. Does HostGator Monitor My Space Usage? HostGator monitors the storage of each user very carefully and if it finds you storing too much data, for example terabytes or gigabytes of it, you can be sure you will hear from them. This is because HostGator doesn’t want users using its generous promise of unlimited space in any manner that is not intended for hosting. Such as if you’re dumping files on your server as backup or for sharing privately with another friend. The fact is the more space a user uses, the higher the host’s costs so they always want a keep a check on it. Does This Mean HostGator’s Space Isn’t Really Unlimited? On the contrary, actually HostGator’s promise of unlimited space will work remarkably well for 99% of the people that sign up for it. But only as long as you don’t use this space for anything other than storing files strictly meant for the functioning of your website. If all the files you are storing in your account are essential to your website’s function, you will be fine. On the other hand, if HostGator detects that you are using it for purposes other than for reasons specified in its lengthy terms and conditions, it will issue you a warning to delete these files. And if they still remain on the server, they have the authority to delete those files or suspend and terminate your account. Founded in 2002, HostGator has steadily been one of the best hosting companies and that’s why the 1 cent coupon code is an amazing deal. Follow the steps below to use the one cent coupon to get your first month of hosting for a penny. Go to the HostGator website via this promo link. View and select the Web Hosting Plans to select the package you want to get started. In the summary page that follows, you’ll see again that the new price for your plan is now only $0.01. That’s it. Simply enter your info to order and all you’ll have to pay is one cent! It couldn’t be any easier. This exclusive 1 cent coupon for new customers deducts nearly the entire value of your hosting plan, leaving behind only a penny. This is HostGator’s way of securing you as a new customer with the lowest possible payment to get you to sign up. After the first month, you will be billed the regular rate of your plan but there are no catches and you can cancel anytime. HostGator has been around since 2002. Since being founded from a Florida dorm room, its founders have never forgotten its humble roots. Exceptional customer service and value is what separates HostGator from the competition. It has now grown into one of the leaders in the hosting business and for good reason. It’s live chat support, toll-free number and other initiatives are always aimed at delivering for the customer. Not to mention it’s tough to beat their 45 day money back and 100% satisfaction guarantee. That means if you’re not happy with what they’ve got to offer with their promise of 99.9% uptime. Best of all? You can do it all 24 hours a day, 7 days a week and 365 days of the year. You’ll never hear HostGator staff complaining about delays due to a national holiday. Even all the low cost hosting packages include one-click installs to let you install WordPress on HostGator, for example, to name just one out of several hundred software packages that you can quickly install. If you need to transfer your website, they can also take care of that free of charge. Moreoever, all the hosting plans come with their commitment of unlimited space and bandwidth so all you have to worry about is running your website and leave the hosting worries to them. Most hosting plans let you host multiple domains under a single hosting package and account. So how do you add a new domain in cPanel? The Subdomain and Document Root fields will automatically completed. If you want an FTP account to be created to upload related files, checkmark the box. Now click “Add Domain” and you’re done! Don’t forget to change the nameserver information for your domain to actually point to your new hosting account. You can find your host’s nameserver details in the welcome email or in your HostGator cPanel account where you’d find the HostGator nameservers, for example. We’ve always loved HostGator and today there’s another reason to love their one cent hosting — live chat support. If you’ve ever found yourself in a jam without a clue of what’s wrong with your website or maybe you’re having trouble setting up the email that came with your hosting package, the live chat is a great way to get answers right away. Live chat support takes you to the chat system where all you need to do is enter your name to get started. You simply wait in queue until it’s your turn, which usually doesn’t take very long and provide details about your account and issue. The customer support experts do their best to resolve their issue but if they need more time or it needs to be escalated to a different department, they will get your information down before letting you go to get in touch with you. It’s a very smooth experience and from the live chat support we’ve tested, HosGator’s means fast support. All accounts come with the HostGator cPanel. If you can’t figure out just how to get started, you’ve come to right place. Your cPanel login information is in the welcome/setup email that you receive upon first signing up on a Shared, Reseller, VPS or Dedicated Server hosting. You will have just one login to control and access all your services with HostGator to keep things simple. There are three different ways to access your HostGator cPanel. If you know your hosting IP address (this can be found in your setup email and looks like 255.255.255.0). If you know your hosting server name (this can be found in your setup email and looks like gator100.hostgator.com). 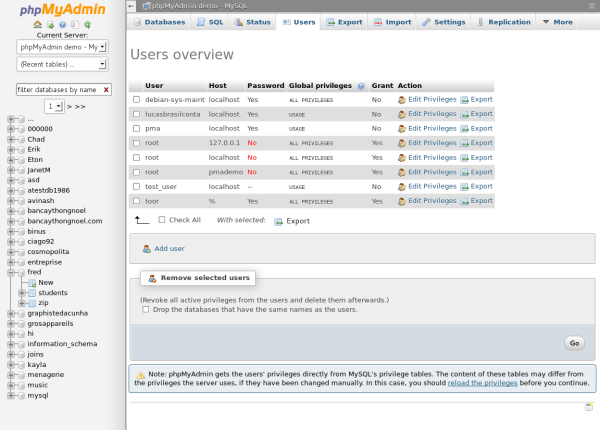 phpMyAdmin is a free and open-source platform that lets you interact with MySQL from your browser. You can manage, create, delete, tables, data, indexes, permissions or execute SQL statements. You can launch phpMyAdmin directly from within cPanel from pretty much any leading web host. You’ll find this under the Databases category. Click on phpMyAdmin to launch it. This will bring up the administration page from which you can view all your data and perform actions on it. Click the database you want to manage and you’ll then be able to see all the tables and data or perform SQL queries on it. 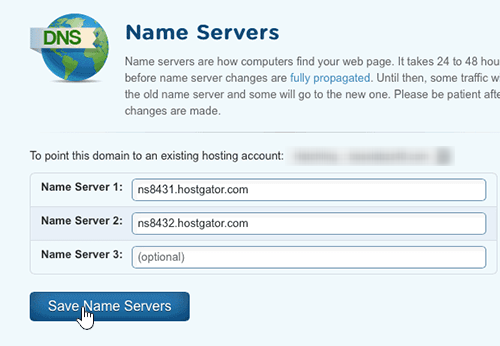 The HostGator nameservers that you need to set your domain to are listed in the initial welcome setup email. They will look like x.hostgator.com and y.hostgator.com. There are always a minimum of two nameservers needed since one is primary and one is secondary, incase the primary nameserver fails. If you’ve lost the setup email, this information can also be accessed in your cPanel account, if you’re on a Shared hosting plan. Once logged in, scroll down to your Account Information. Under your package and IP address, you’ll see a row for Name Servers. Simply copy these one at a time and enter in your domain registrar’s field for name servers. There are two ways to access your HostGator email piled up in your inbox. When prompted to enter your email address and password, enter the email and password you chose when creating the mail account. Most people get confused about whether this prompt is for their cPanel login or email account. Hit enter and you’ll see all your email in HostGator’s pretty Webmail interface similar to any online web email service you may be used to. You can also customize this look by choosing to view with either horde, roundcube, or SquirrelMail. What Is HostGator’s Cheapest Plan?